Michael V. DeMola, CPA, Shareholder-in-Charge of the Tax Services Group, joined Cowan, Gunteski & Co., P.A. in 1989. Prior to joining the firm, Michael was a tax manager with an international certified public accounting firm located in New York City. He is recognized in the business community for his expertise in complex tax planning matters. 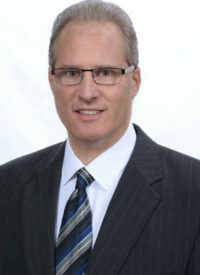 At Cowan, Gunteski & Co., P.A., Michael is responsible for the management and review of diversified tax-related matters for various business, estate and trust, and individual clients. He specializes in advanced tax research, preparation and planning, in addition to analyzing and structuring tax-related transactions in view of changing economic and tax law considerations. He has an extensive background in corporate, LLC, partnership, individual, and estate and trust tax law matters. In addition, Michael works with numerous large corporations and businesses, and has experience dealing with private and public companies on tax compliance issues. With his vast knowledge, practical experience and personalized consultation, Michael has helped many clients achieve their goals by maximizing tax-saving opportunities, exceeding objectives, increasing profitability and creating wealth. Michael frequently lectures both inside and outside the firm on various areas of tax law, and is an accomplished writer with an array of published articles on business and tax issues. As an expert in tax planning and consulting areas, he has been interviewed for a variety of professional publications and is a frequent guest on local radio broadcasts. He also speaks at seminars on various areas of tax law, including estate and trust, for continuing education for CPAs and attorneys. Michael holds a Bachelor of Business Administration from Baruch College with a major in Public Accountancy. His professional memberships include the American Institute of Certified Public Accountants, the New Jersey Society of Certified Public Accountants, and the New York State Society of Certified Public Accountants. He is a past president and treasurer of the Kiwanis Club of Toms River Daybreak. He is also a member of the New Jersey Estate Planning Council.